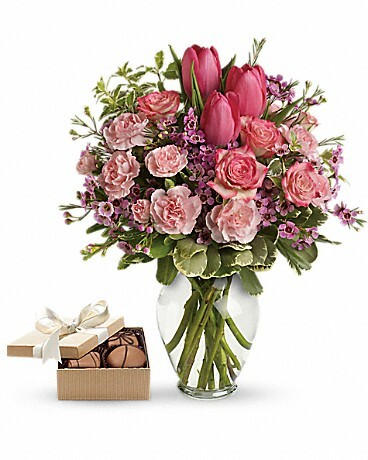 This thoughtful gift set includes a delicious box of chocolates paired with a beautiful bouquet. Spring into pink! 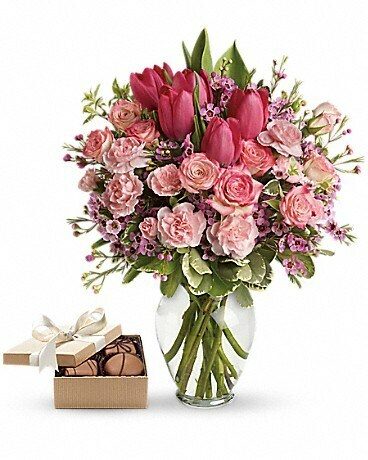 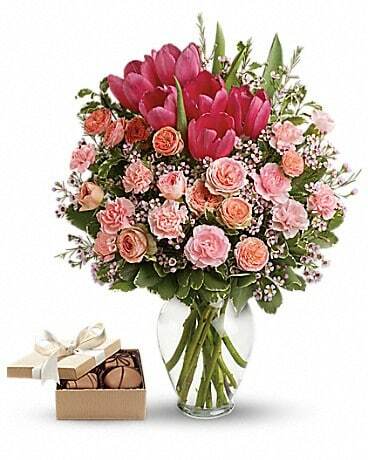 Delicate roses, tulips and carnations in a graceful vase with a box of chocolates are a cheerful expression of your love.